And a view looking down from the front. The fairings around the centre top module are covers for the modules of the lunar vehicle, and the sloping tubes beneath are only there for streamlining, nothing inside. 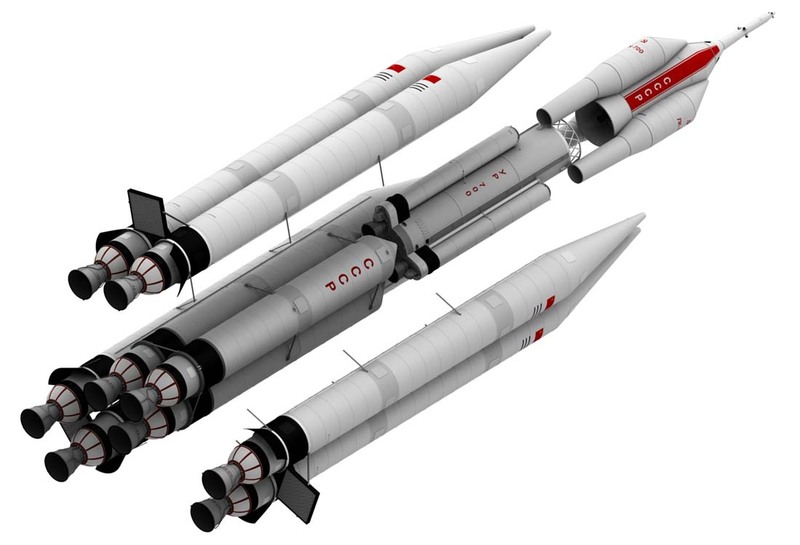 And here’s the alternate perspective free side view, directly aligned to the booster pairs. One twitter friend has already asked if I plan to animate a lunar mission. To be honest, at this stage I’m really not sure. I don’t want to just redo my N-1 video with a different craft. 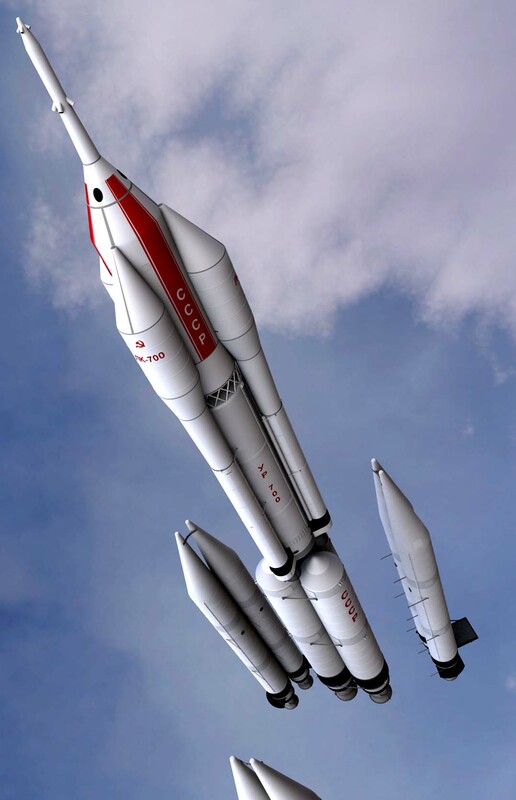 I was wondering what program you used to create the rocket, Thanks! I keep trying to find the time to learn Modo! But it’s always quicker to use the tool I know best.